This group project involves producing a video podcast that will be uploaded to iTunes and YouTube. 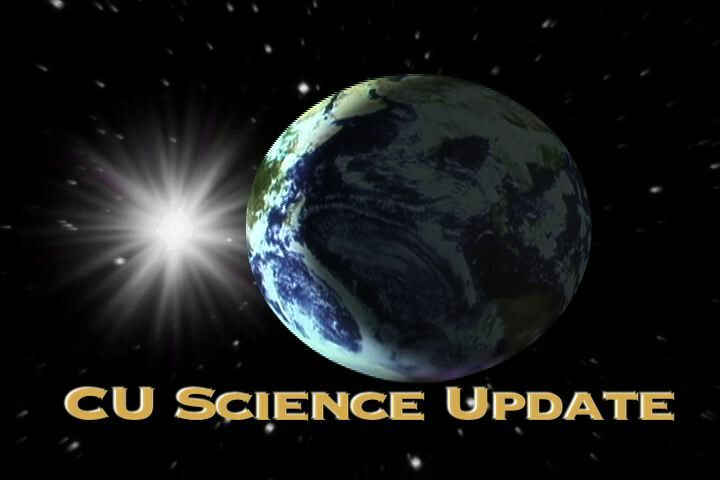 CU Science Update is an Emmy-winning series that showcases the CU Boulder science community. Students will work in teams to produce segments that will be combined to create a complete episode. Positions include host(s), reporters, photographers, etc. Students could learn to apply a number of new skills, including chroma keys and the multi-camera editing feature in Adobe Premiere. They will also learn how to create effective graphics and animations. The Topic for Autumn 2014 - Gluten! They say it causes food allergies, bloating and it makes you fat. Others say gluten leads to mental disorders. But most people can't even tell you what gluten is. It's been a dietary staple for thousands of years. But now, eating gluten is being frowned on. What are the facts about gluten and wheat in general? A small minority of people are truly gluten-sensitive, and this includes people with coeliac disease, a serious immune condition where the body produces antibodies against gluten that can lead to malnutrition. But does non-coeliac gluten sensitivity (NCGS) exist? Although studies need to be treated with caution, claims about the evil of gluten simply don't stand up.